Since I was a little kid, my favorite car racing liveries in the world are Martini, Marlboro, and Gulf. 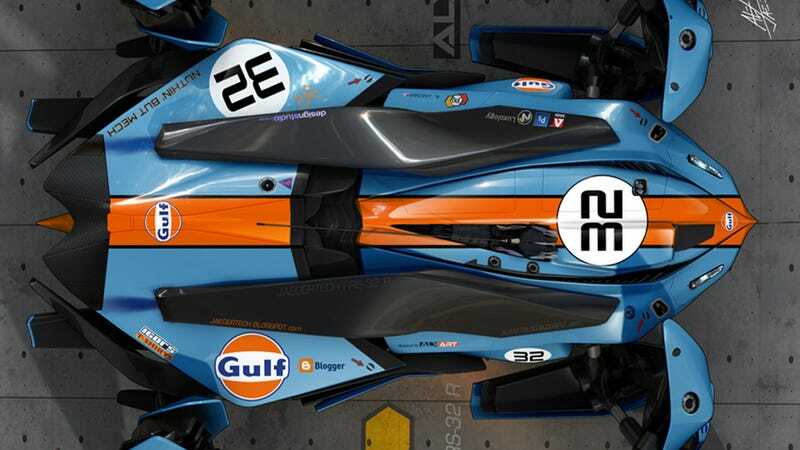 Maybe that's why I love so much these racing machines created by Alex Jaeger, an industrial designer and VFX Art Director at Industrial Light & Magic. That and because they are damn cool. Alex Jaeger is an industrial designer and VFX Art Director who has been working at Industrial Light & Magic for over 19 years as a VFX art director on everything from Star Trek, Pearl Harbor, Transformers, Star Wars and most recently Pacific Rim (the Jaeger name is purely coincidental). You can follow him on his two blogs, here and here. This is part of a series in which we are featuring really cool industrial design work. If you are an concept or industrial designer with high quality work, please drop me a line here.